I knew that writing about Samira and Meedo’s Wedding would be either very long or very short. As trying to describe the experience with planning this hip Lebanese Wedding in Prague can lead to not being able stop and still not being able to express what I want to say. Sam & Meedo’s wish, of course apart from having a dream Wedding, was that everyone who will „work“ on their Wedding will enjoy and have a good time. And we all did. It was a beautiful experience for all of us that we will not forget. So, please let me tell you „shortly“ and without cliche’s that Sam and Meedo don’t like anyway, about this truly unique Wedding and then let the photos speak . 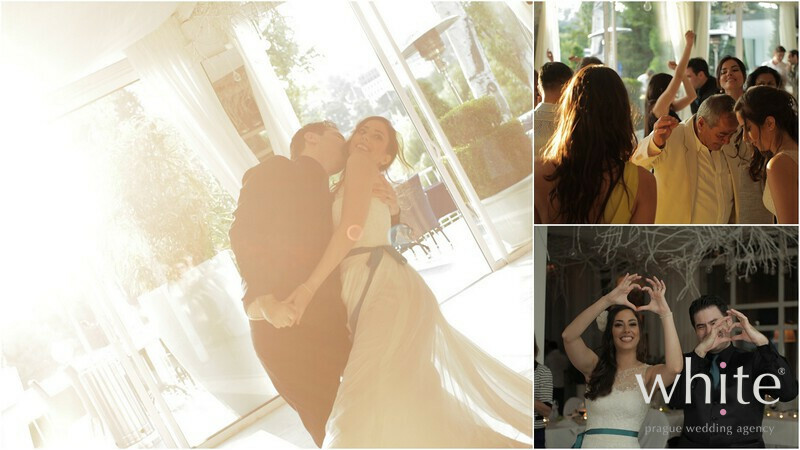 The Wedding was wonderfully captured by the couple’s good friend, documentary photographer Izabella Demavlys. 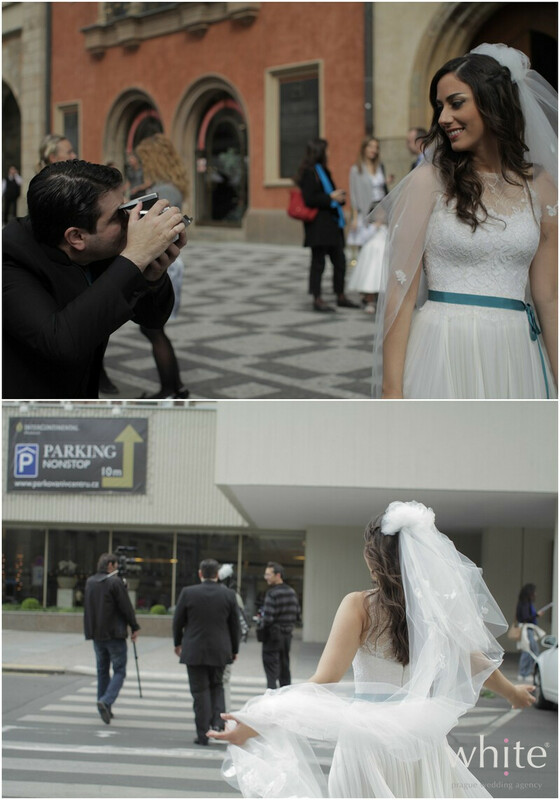 Samira & Meedo wanted for their Wedding to be everything but romantic. According to Meedo getting married is romantic enough. They wanted to do something „outside the box“, something we have never done before. Ceremony at 5am? Graffiti party? It could not have been more original. After 4,5 months and millions ideas flying between Dubai, where the couple lives, and Prague, we all felt great and happy with the created special concept. The symbolic ceremony took place at 5am on the Charles Bridge. 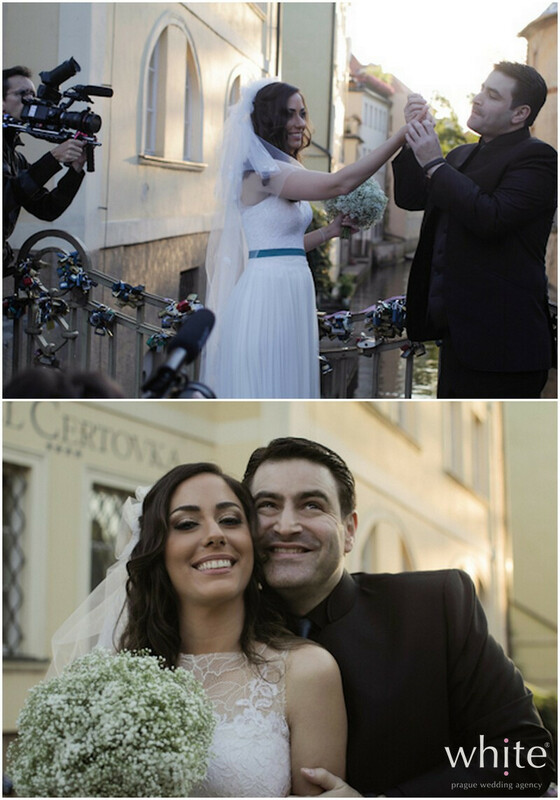 Samira & Meedo met in the middle of the Bridge and exchanged vows lit by street lamps and the dawning sun. They were accompanied with all 40 guests, the sounds of the river and life trio. After the ceremony each guest threw a white rose to the river to the sounds of the trio playing Smetana’s Vltava. How magical was it.. After the ceremony, the guests walked across the Bridge to one of Prague's top restaurants that opened for us at 5:30am. On the way the newlyweds followed a tradition of lovers and placed a love lock to a railing on the bridge of Kampa Island. They dropped the keys to the river and now their love is forever locked. Civil ceremony took place at the Old town Hall at 10am and after that the guests deserved a little siesta..
We all met again in the afternoon and let the vintage tram to take us to a former factory area, nowdays a home of artists. 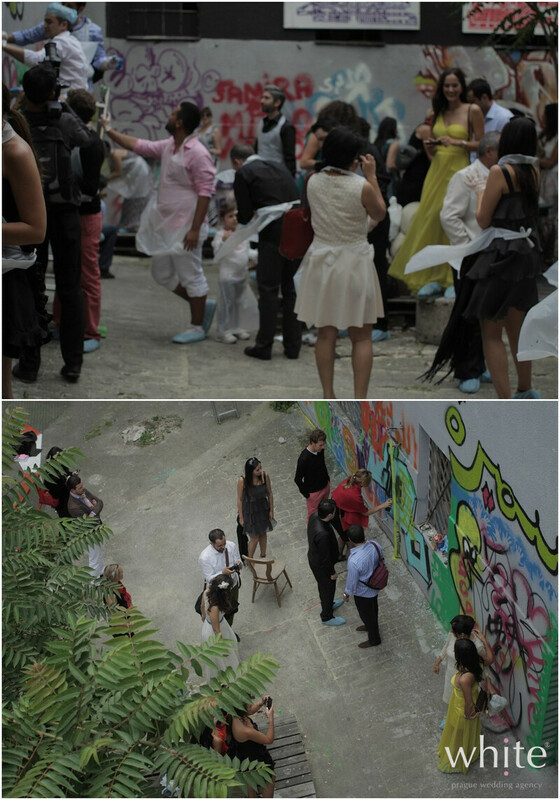 The beautifully dressed Wedding guests did not hesitate a second, grabbed sprays and did what we came there for- graffiti. It was spontaneous and so much fun. The vintage tram then took us to the last (official) stop of the day – a venue by the river that seemed nearly dreamy.. There were no flowers required as a decoration (forbidden actually) and the wedding tables were decorated with green apples as the Bride and her Mother in Law wished. How lovely it looked? The Bride and Groom performed the funkiest Wedding dance as the sun went down.. the light was unreal on this day. Every photographer’s dream. We didn’t expect any slow and romantic moves and we were right – Sam and Meedo danced to song Kiss by Prince. I cry during all first dances but I have to say that this was a first time when the Bride and Groom were made to repeat it! 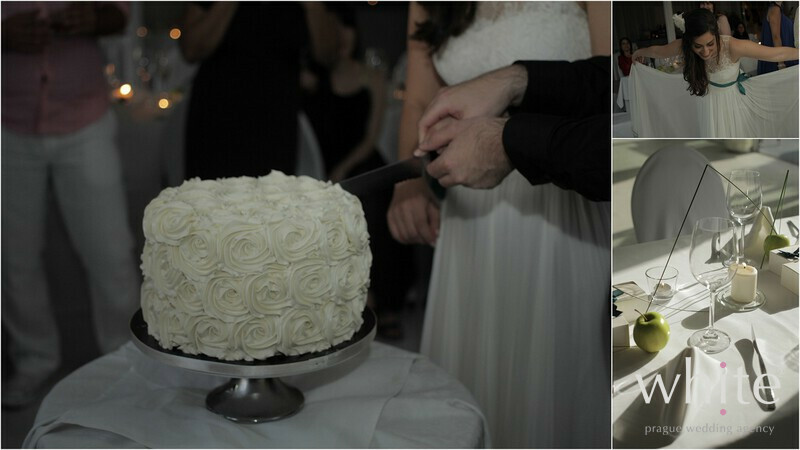 Wedding cake, as expected, was not very traditional either, but still very elegant and classy – one layer ivory cake with.. according to the guests.. the yummiest carrot cake filling. The Wedding surely did not end with the Wedding couple and guests leaving the Wedding venue at 11pm. Although they were up since the break of the dawn they were on a mission.. to complete their 24 hours Wedding celebration. Does it all sound very romantic? Yes it was.. without any extra pushes for it to be.. it just was. Perfect. We are so very happy that we completed our mission. To make Samira & Meedo’s dream come true. 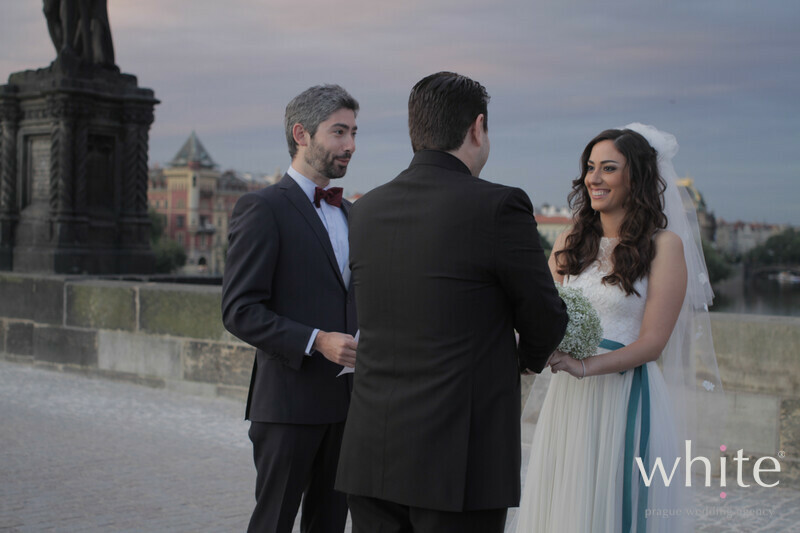 We cannot wait to welcome more Lebanese couples wanting to get married in Prague! 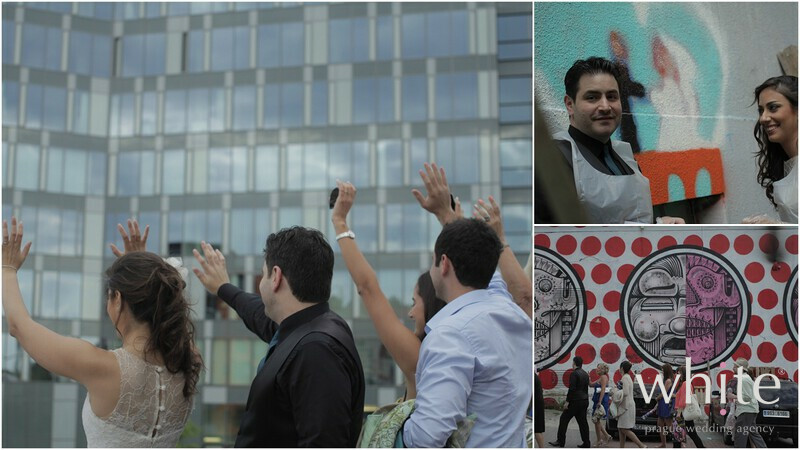 We were overwhelmed by the warmth and enthusiasm of Lebanese people that really know how to enjoy themselves. Thank you for letting us being part of it for a little while. P.S. 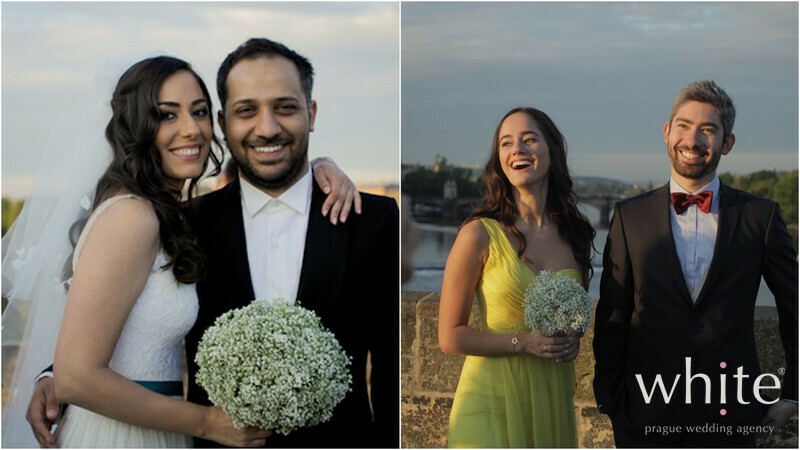 We were previously convinced that Lebanese people know how to have fun at Vartan & Nayla's wedding :-): http://blog.pragueweddingagency.com/theme-weddings/70s-theme-wedding-in-prague-44/.